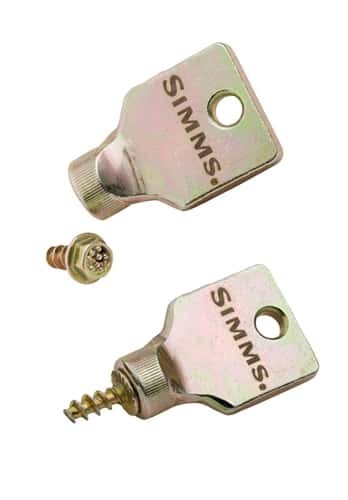 Simms Hardbite Stud are specifically designed to be used with the Simms Streamtread Vibram boot soles. The Simms HardbBite Stud adds aggressive traction to the spaces between the 360 degree lugs on the Simms Vibram soles. The tungstun carbide HardBite Stud are shaped in a three point star pattern providing more surface area and resulting traction than a standard cleat. HardBite Studs be installed in minutes with the supplied nut driver. Essential to have when wading in any rivers!